Over the course of the last few months, I have had the pleasure of volunteering with Rescue Aid Foundation (RAF), a nonprofit Christian humanitarian organization that is based in Ghana. RAF has set several lofty goals for itself, to say the least: the organization strives to provide educational supplies and materials to rural schools in Ghana and to provide households with access to water on a daily basis. Before I began volunteering with RAF, I truly had no understanding of how difficult the water crisis in Ghana was. Having grown up in California, I was familiar with the terms “drought” and “water conservation,” and yet, I can never remember a time in which my family did not have enough water to cook or clean our clothes. In short, water is something that we have definitely taken for granted, and yet, it’s a precious resource that some people in Ghana don’t have access to every day. 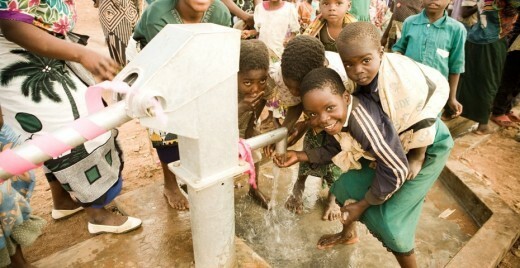 It’s humbling to consider how different our lives would be if we were unable to access clean water when we need it. Currently, approximately 46% of Ghanaians have access to clean and adequate water. Conversely, more than half of Ghanaians lack access to clean water, though water is an absolute necessity for survival. I have been amazed at some of the things that RAF has already done to bring water to impoverished Ghana citizens: RAF volunteers have adopted novel technology for hand drilling water as well as partnered with Water Aid Ghana to drill wells in the region. An even more effective and long lasting plan is currently being implemented to process water with chlorine, store the water in a reservoir, and then distribute the water appropriately to areas in need of the water. There’s many ways in which you can get involved with RAF and help the people of Ghana obtain access to education and water. One of the ways is through a monetary donation, which will help support and maintain the services and projects RAF has initiated in Ghana. All donations can be made at http://rescuesouls.org/donation. For those people who prefer an administrative role, we also have a need for people in our fundraising and administrative sector. And finally, you can include RAF in your prayers that RAF may continue to help the people of Ghana. Volunteering with RAF has simply been eye-opening and has given me the opportunity and privilege to help people thousands of miles away from me. I hope that you too will decide to contribute your time or resources to this organization.